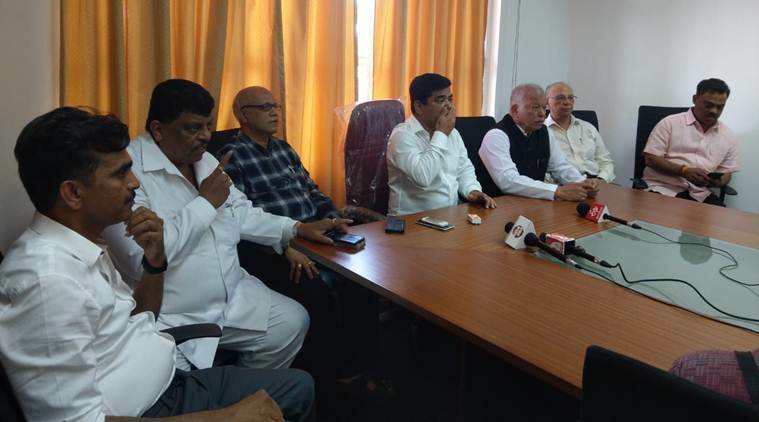 Goa floor test: Sawant secured the support of 11 MLAs of the BJP, including ailing Pandurang Mhadkaikar, three MLAs from the Maharashtra Gomantak Party (MGP), three from Goa Forward Party, and three Independents. Goa floor test highlights: A day after he was sworn in as Chief Minister of Goa, Pramod Sawant Wednesday won a floor test in the state legislative Assembly with 20 votes in favour of his government. Sawant, 45, secured the support of 11 MLAs of the BJP, including ailing Pandurang Mhadkaikar, three MLAs from the Maharashtra Gomantak Party (MGP), three from the Goa Forward Party, and three Independents. The strength of the Assembly is 36, including the Speaker. The Congress’ 14 MLAs and Churchill Alemao from the NCP voted against the motion. Sawant had taken oath as CM a little past midnight Monday, along with Goa Forward Party’s Vijai Sardesai and MGP’s Sudin Dhavalikar as deputy CMs. Nine other Cabinet ministers were also sworn in. Congress had previously called the midnight swearing-in of Sawant “unconstitutional”. After winning the trust vote, CM Sawant said, "I have got this opportunity to sit on this chair as a successor of late chief minister Manohar Parrikar. I was an ordinary BJP worker and then rose to be the Speaker and the Chief Minister. I am a party worker first. We will work on the Antyodaya principle, which will impact the lowest reaches of society. And for that work to happen, it is not just up to a CM, MLA, but every member of society and while doing this work, I would need the help of every Goan. Manohar Parrikar had given a message before passing away to be positive. If we go ahead with this message, then we can build a bright future for Goa." Who all voted for BJP? BJP wins floor test with 20 votes.BJP:11 votes, MGP:3, GF:3, Independents:3.The MLAs who gave aye (11 MLAs of BJP including Pandurang Mhadkaikar, three MLAs of Maharashtra Gomantak Party, three of Goa Forward, and three independent). The BJP-led coalition government won the floor test in the Goa state assembly winning 20 votes while the Congress polled only 15. Motion is called for floor test. The Bharatiya Janata Party (BJP) asks Churchill to stand too. Speaker Michael Lobo reads a message from Governor Mridula Sinha. Sinha wants the floor test before March 23 as the only agenda for the day. Remembering Manohar Parrikar, Speaker Michael Lobo says: "Parrikar was a great influence who guided him and others under him." He has called for condolence silence in the House now. The leader of Opposition in Goa Assembly Chandrakant Kavlekar also pays respects to CRPF personnel killed in Pulwama attack. Quoting SY Qureshi's book —An Undocumented Wonder: The Great Indian Election,Vijai Sardesai says: "Manohar Parrikar's understanding of democracy was such that Qureshi has mentioned only him in his book." Sardesai adds: "Cancer can not only shatter the dreams of a person but the dreams of a state." Goa Forward Party (GFP) chief and one of the Deputy Chief Ministers of the state, Vijai Sardesai begins his speech in the House. Citing Amul's cartoon “har Goan ka Manohar”, he says, Manohar Parrikar will be remembered by all Indians. What is the current strength inside Goa Assembly? Condolence speeches are underway inside the Goa Assembly. The current strength inside the House: BJP:11, MGP:3, GF:3, Independents:3, NCP:1. Congress:14. Total Strength is 35 plus speaker Michael Lobo. On behalf of the Bharatiya Janata Party (BJP), Mauvin Godinho applauds former Goa chief minister Manohar Parrikar for his vision of development. Mauvin says, "When Parrikar called me to join the BJP, I got the same feeling as when Rajiv Gandhi used to call him for meetings to Delhi." Condolence motion moved for Parrikar, Francis D Souza and Vishnu Wagh. A condolence motion was moved for Manohar Parrikar, Francis D Souza and former deputy speaker Vishnu Wagh. Speaker Michael Lobo takes over, National anthem begins the session. Track this space for the latest updates. 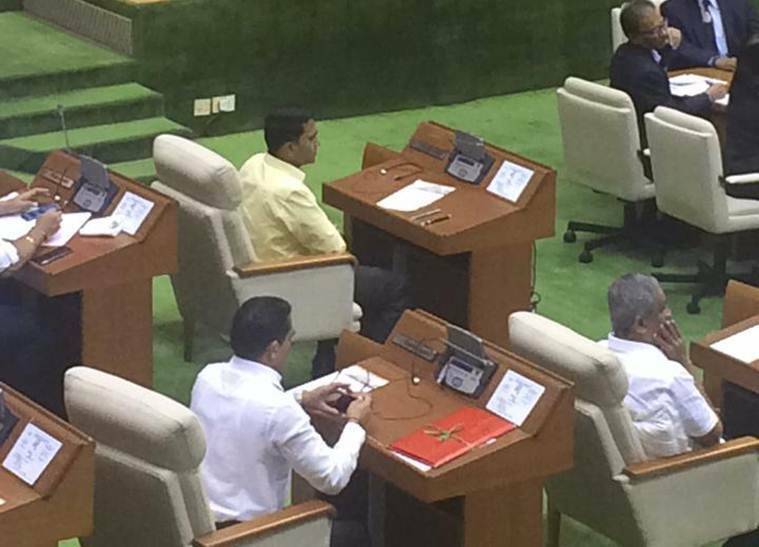 Goa Chief Minister Pramod Sawant is seated in the chair where Manohar Parrikar used to sit in the house. With Pandurang Madkaikar in the house, BJP will have 12 MLAs in the house with Michael LoBo chairing as Speaker. All MLAs have arrived at the Goa assembly. They are now waiting for Governor Mridula Sinha. Ailing minister Pandurang Madkaikar is also present in the house. "Words cannot express the deep sense of loss I feel personally. I find solace in the fact that I have kept my word to my chief minister till the end, even though this is not the way I wanted it to end," Sardesai said. "We will have periodical review of our achievements from here on. If we find something amiss, we will adopt corrective measures," he said. He said the government's intention was to continue with the development work seen under Parrikar. Praising Parrikar, he said, "I stand vindicated seeing the development of Goa under Parrikar. Our faith in each other helped us overcome adversities and work towards the good of Goa." He said stability is critical for the coastal state's progress. On Tuesday, the Goa Forward Party said it would periodically review the performance of the state government under Chief Minister Pramod Sawant. The GFP, with three MLAs, is an ally in the BJP-led state government and its president Vijai Sardesai is one of the two deputy chief ministers in it. Sardesai said his party had kept its word to Manohar Parrikar, who died Sunday, to keep the coalition in the state intact. How many BJP, Congress members are there in Goa assembly? The BJP has staked claim with these numbers: 10 BJP MLAs (Pandurang Madkaikar is in hospital and, therefore, not counted as a voting member), three each of the MGP and Goa Forward Party, and three independents. The House strength is down to 36 MLAs — with the deaths of Parrikar on Sunday and Francis D’Souza in February, and with two Congress members having resigned after they defected to BJP. The Congress has 14 MLAs, and there’s one of the NCP. Welcome to our LIVE blog. 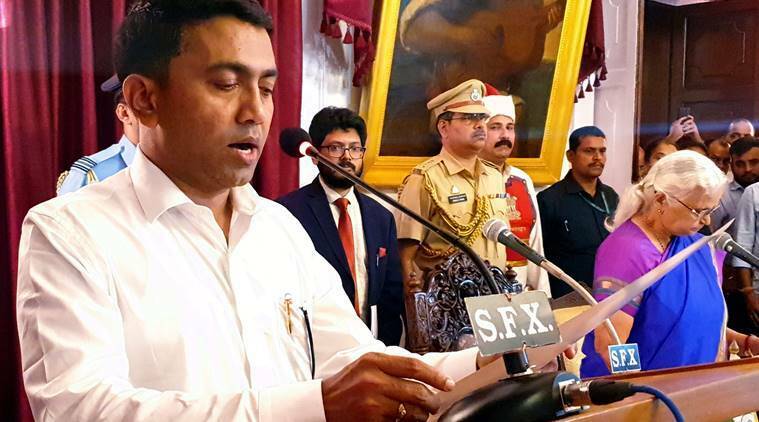 Newly sworn in Goa Chief Minister Pramod Sawant will take a floor test in the state assembly today to prove majority of the BJP-led government. Follow to get the latest updates. “We are going for the floor test tomorrow. There will be no problem. I am 100 per cent confident. The first priority is to take control of the administration. I want to give Goa a good administration. The second priority is to complete all of Manohar Parrikar’s projects which are currently ongoing,” Sawant said on Tuesday. Since the state is mourning after Parrikar's death, Sawant said he will not be accepting congratulatory messages and notes. “Do not even come to meet me. Even if you want to congratulate me after seven days, do not come with flowers,” he told well-wishers.